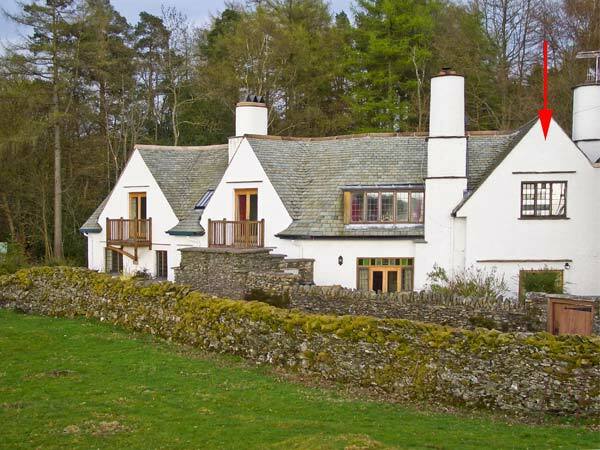 The Studio is a wonderful studio apartment in a five acre estate close to Bowness-on-Windermere. There is an open plan living area with a double bed, mini-kitchen, dining table and sitting area with French doors to the patio. Outside is also off road parking for one car and guests have use of the owners' five acres of grounds. 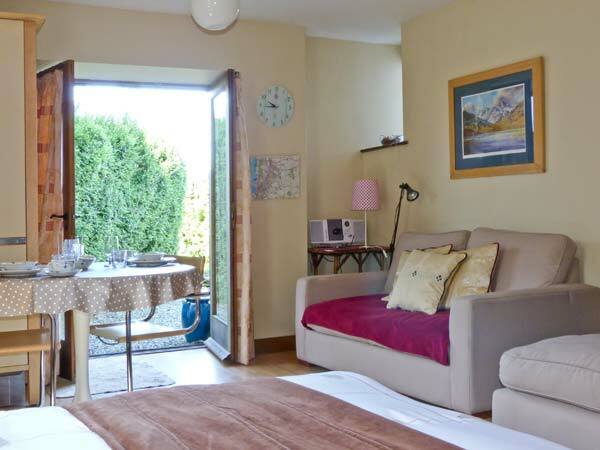 The Studio makes an ideal base for enjoying the lakes, the walking and the watersports of the area. Open plan studio accommodation with double bed, mini-kitchen, dining area and sitting area with woodburning stove and French doors to gravelled area. Shower room with shower, basin and WC. Oil central heating with woodburning stove. Microwave combi oven, electric hob with two rings, fridge, TV with Freeview, DVD, iPod dock, radio, WiFi. Fuel, power and starter pack for woodburning stove inc. in rent. Bed linen, bathrobes, towels and toiletries inc. in rent. Ample off road parking. Gravelled courtyard with garden furniture. Access to owners' extensive grounds. Sorry, no pets and no smoking. Shop and pub 10 mins walk. Note: Fresh flowers and champagne can be pre-arranged with the owners for an extra charge. Note: Babes-in-arms only.